A brilliant career that began as a junior in the chambers of R.J. Kolah and BA. Palkhivala has at present culminated into the eminent position of Senior Counsel, Mumbai High Court. With his basic practice connected with tax matters and company law. Mr. Firoze B. Andhyarujina is mainly engaged in tax litigations, having represented prominent cases that have interpreted the complex tax laws of India. He has argued important trademarks and patent cases at Bombay and Delhi High Courts. An outstanding debater since his college days, Mi: Firoze B. Andhyarujina was the recipient of Rotary Foundation Scholarship for post graduate studies at the University of Miami. U.S.A and has a LLM degree in Intemational Lawn He was also awarded scholarship in Intemational & Comparative Law at Paris. He has gained renown as an authority on Tax Laws. 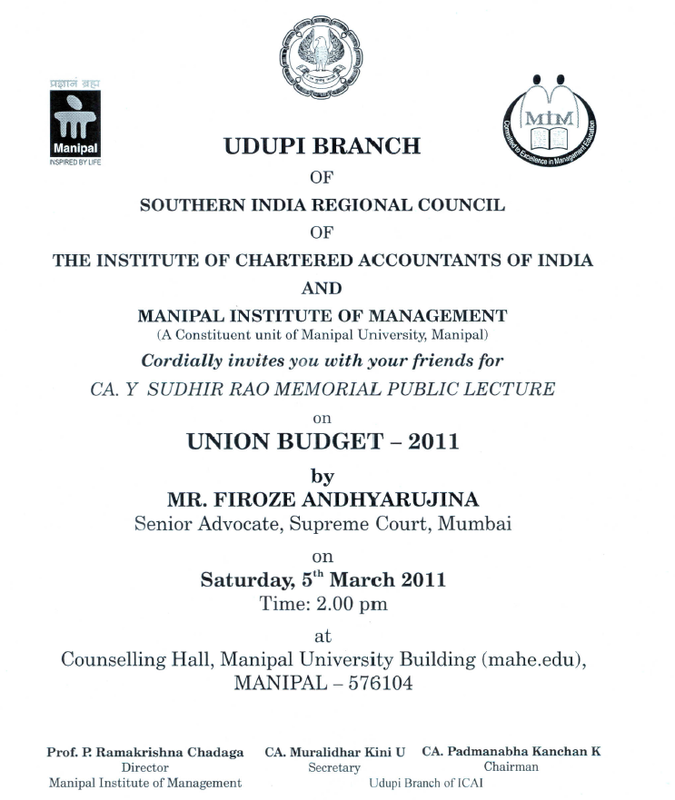 He is famed for his annual speech on the Union Budget which delivers an in-depth analysis of its various provisions and the impact on industry trade and citizens. He is the author of popular articles on Tax Law in Economic Times and other journals, and has presented several papers at national conferences.